Sire ? x Dam ? 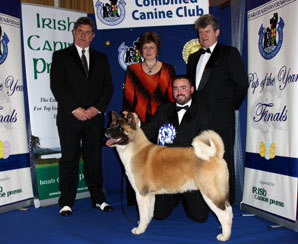 Max is a son of Josh and like his father he is a real stunner. 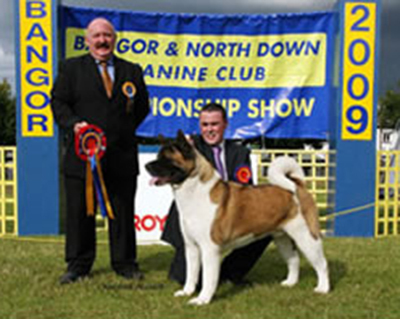 Max to date has won two BIS one, reserve BIS six group wins, numerous group placements. 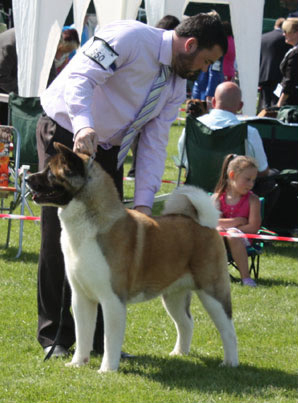 Max also gained his International Beaute CH Title and is currently the top winning Akita 09.